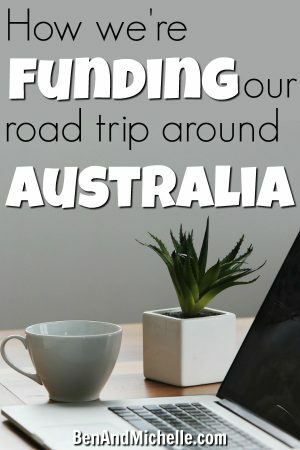 The BIGGEST question that surely, must be on everyone’s mind is, “How are you funding your trip?” and “How on earth am I going to fund MY trip around Australia?” or something like that… but probably with more expletives than this PG rated blog can mention. There are those that are retired and drawing an income from somewhere, investments in stock, real estate or whatever, and/or the government. And there are those who have saved up for a couple of years, they’ve bought themselves their car and caravan and saved up for a whole year on the road. No having to work for you, but you’re okay with the fact that once the year is up, you’re heading back to the office or construction site, and you’ll take up where you left off. But I’m talking about those of us that don’t want to wait until retirement age before embarking on a trip around Australia, and while we’ve scrimped and saved to buy our rigs… saving up for a whole year of expenses is going to take foreverrrrrr. You want to leave now, or soon, before the kids get too old, or you get too old, or you totally lose the plot with current life. There are plenty of ways, believe it or not, of funding your trip. It’s all about what your skills are, what type of work you want to do on the road, and what’s available at the time you’re looking. 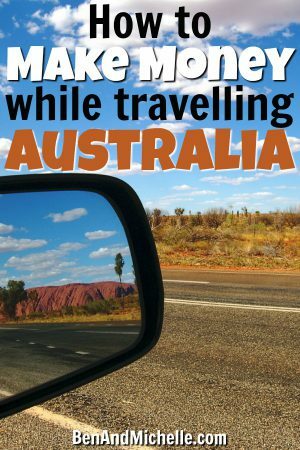 I’m going to start this off by telling you ‘How WE make money on the road’ … I fear that should actually read ‘How we make a little bit of money on the road but we’re trying to grow it so that we don’t have to stop and get regular jobs because we hated that life’. So these are the different ways we’re making money, I’m not going to give you amounts, because they’re embarrassingly small (and therefore, I’m too embarrassed to tell you!) But you can safely assume that it’s not enough to live off (yet!! that’s a big fat YET!) and that we’re eating through our savings as I type. 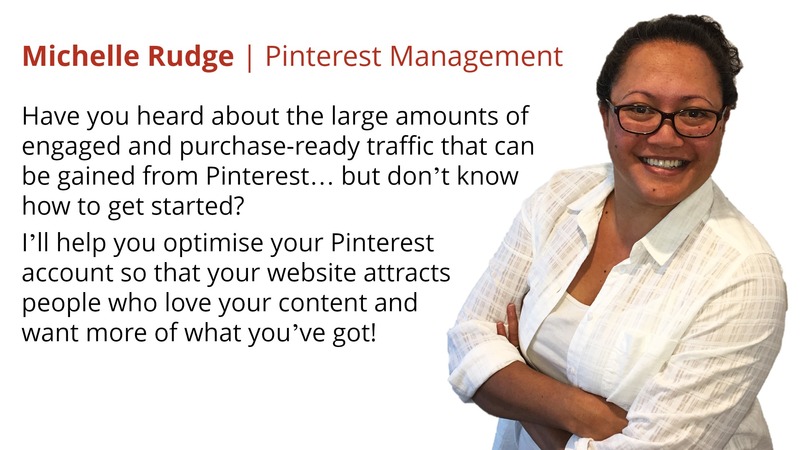 You may be aware that Pinterest has totally changed the game for bloggers and small businesses all over the world. Instead of your blog or website sitting in cyberspace keeping crickets warm, Pinterest has exploded the growth for anyone using their platform; well, anyone using the platform in a strategic way. In the same way that Facebook, Twitter and all the other social media platforms have their own unique way of driving traffic to websites, Pinterest does too… and in massive numbers. But Pinterest is different in that it’s not actually a social media platform, I mean, there’s not a whole lot of socialising happening on the platform. But it is, by their own description, a visual discovery tool. Think of it like a google for images. And because small business and blogs either don’t want to learn the platform, or just don’t have the time, they’re looking for people to manage their accounts for them. And so now we have: MichelleRudge.com | Pinterest Management Services. It’s totally because of Pinterest and the success I’ve had in getting traffic to my own websites that our other income stream is from blogging. I go into that below. We have two blogs that we consistently post to. This one you’re reading: BenAndMichelle.com, and RVObsession.com. You’ll note that there are no ads on this site, and that’s the way we plan to keep it. 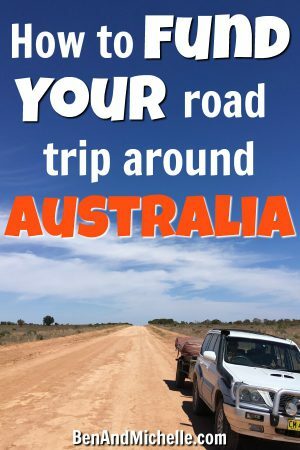 This is our online home, if you like, where we share with you everything about this life of being on a long-term road trip around Australia. We’re pretty proud of this site and how it looks and the articles that we write for you. We don’t really want to mess up all our hard work with some ads popping up in weird places. And, lezbehonest, this site doesn’t exactly have loads of traffic yet, so for us, it’s not worth the hassle of having ads if you’re just making a few dollars a week. However, on RVObsession.com we’re now getting over 30k page views per month so it makes more sense to put some ads on that site. 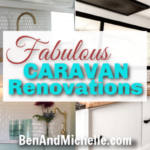 Also, RVObsession isn’t as much about us personally, it’s really my (Michelle’s) baby and I talk about all aspects of RVing and my enduring obsession with them. Being that it’s not a country specific blog like this one (although 90% of my readers are in the USA) the target market is HUUUUGE! Any blog can put ads on their site and most will start with Google adsense. I didn’t bother with adsense because I know their payouts are pretty low (they are the big guns in this game of course) and I find them pretty ugly and very annoying. I waited till the site was getting some decent traffic and applied to MediaVine.com. Their rates are much better and they work with you to find the optimal ad placements on your site. Afffiliate marketing is where you put a link to a product (a physical product, eBook, course etc) and if your reader clicks on the link and goes on to buy that product, you will get a small commission. For example, say I tell you about the Jet Pilot camp chairs that we’re currently using, I put an affiliate link to that product in a blog post, an email or a social media post, a reader clicks on the link and it takes them to Tentworld.com.au where they then purchase the camp chair. I will receive a small commission from Tentworld for sending the reader to their website. There is no extra cost to the reader. Affiliate marketing is probably the most passive way to make money blogging, because once you’ve written the post there’s nothing more that you need to do like customer service, posting the product or returns. The trick with affiliate marketing (apparently) is being genuine in your recommendations and then getting lots of traffic to your blog. I have learnt from Michelle Schroeder-Gardner who makes over $50,000 per month just from affiliate marketing (I kid you not, you can see her income reports here). She has created a course that is gang-busters at explaining how affiliate marketing works, how to apply it (correctly) to your blog, the legal requirements and more. I’ve purchased the course and gone through it myself and am working my way through applying all the things she talks about. I have high hopes! (And a realistic expectation of how much work is involved.) If you want to have a look at the course yourself (I mean, a look is free) this is my affiliate link to the Making Sense of Affiliate Marketing course. 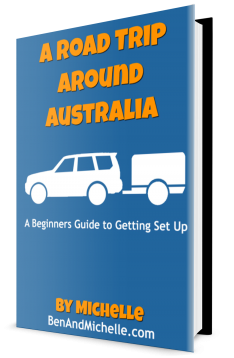 When I first started writing the PDF Road Trip Around Australia – A Beginners Guide to Getting Set Up, I had these aspirations of putting together a massive tome with with everything that a person new to the world of travelling and camping their way around Australia, would need. 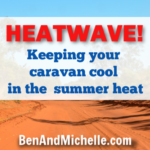 I think I had plans of writing an Australian version of A Beginner’s Guide to Living in an RV: Everything I Wish I Knew Before Full-Time RVing Across America. 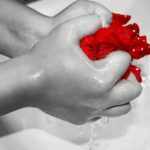 (<–That’s an affiliate link, so is the picture –>) The author, Alyssa Padgett writes about much of the same things that I wrote about in our PDF. I’d like to think that it means people will trust me. Without a doubt I need to make money, and I would like to make money from blogging. But I don’t ever want to do that by making people feel like they’ve been duped by me, or that they’ve paid more than they should have for what they got. Loooong story short, I would like to create some products (I have NO idea what, yet) that I will charge for. But they’ve gotta be darn good products or things in this niche, that people actually want. I’ve got a lot of brainstorming, and then work, to do. I recognise that I’ve told you plenty about how we intend to make money, but nothing about how much we make. Once it’s more than embarrassingly small, I’m intending to share our income reports with you. 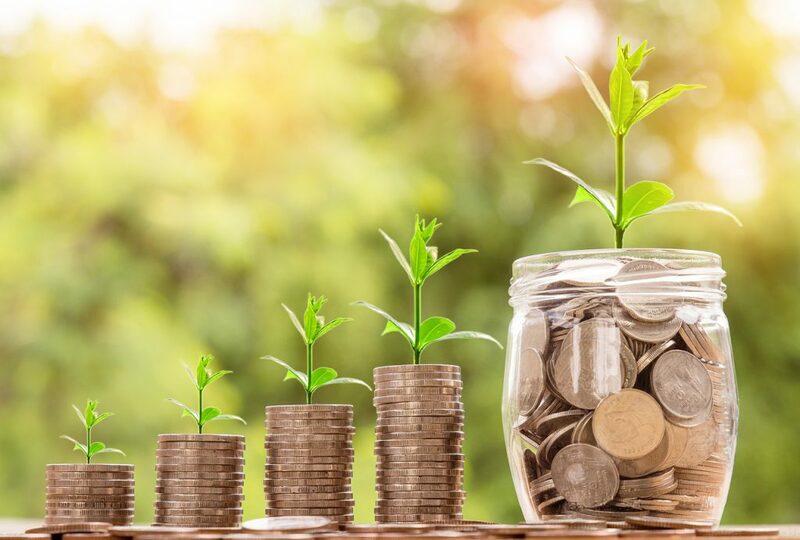 That may seem super weird to you, but it was reading other bloggers income reports that totally made me realise it IS possible to make money from blogging. Here’s some examples of other travellers in case you’re interested. Okay, now that I’ve talked enough about me and what we’re trying to do … let’s talk about how others are making money on the road. This option would make a lot of sense to most people I think. Heck, it makes sense for us too, except we would rather not do it. I’ve done one administration job for three months while we’ve been here in Dubbo, and it’s a good and easy option. Renee travels with her husband and son, and they stop whenever they need to and she picks up work as an Emergency Department nurse. They’ve been doing this for two years now. This would work for almost any type of work. But you may have to be flexible. If you’re an administrator, you might be a receptionist for a while. If your last job was as assistant principal, you can be a teacher for a while. 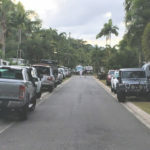 The great people over at FullTimeCaravanning.com.au have written a comprehensive article about how to find work while travelling Australia and have included 39 Tip For How To Find Work. Go and check that out, there’s heaps of resources for you to use. MLMs get such a bad wrap. And it’s unfortunate cos there are plenty of people that are working their business and making a great income. The word pyramid selling sends a shiver up anyones spine; but just to be clear, MLM is not a scam, it’s not a fad and it’s certainly not illegal. Just because someone spent a tonne of money on a business opportunity, and then gave up on it 3 months later because they didn’t make a million dollars , does not make the business wrong or illegal. It probably doesn’t help that whenever people share their MLM business on facebook they are very secretive about what they do and will only DM (Direct Message) you instead of just saying what they do. I understand that they want to connect personally rather than be judged (and dismissed) on first impression… but geez, everyone knows it’s an MLM you’re referring to they just don’t know which one, and all this secrecy does nothing to improve the image of MLMs. I’ve been involved in my fair share of MLMs over the years – Amway, Nutrimetics, Tupperware and Empower Network – so I’m not talking from ignorance here. For me personally… I always felt like I was trying to sell people and I hated having to reach out to my network of friends and family, and it really just wasn’t for me. Some of the big networks that seem to be most popular in Australia at the moment are: doTerra (essential oils), Herbalife (supplements) and Stampin’ Up (card making/crafts). And there’s a new one that we’ve been waiting to make it’s entrance into the Australian market… Direct Cellars, a wine club!!! Hello! Who couldn’t do well in that business?? We’ve joined up to the company but not promoting it yet. Now, I know these are very different types of work, but either consulting, virtual assistant or freelancing is perfect for if you have a specialist skill set and you’re able to offer that skill set without having to be there in person, i.e. you can work virtually. That’s what I’m doing with my Pinterest Management services. If you’re a writer, developer, programmer, musician, copy writer, photographer, editor, videographer (oh soooo many things) then you could offer your services as a freelancer. Do you think that your experience would translate well to a consulting or virtual assistant side hustle? This can often look like the ‘glamorous’ part of travelling and making money. There are those people that grow their social media following (facebook, instagram, twitter) to such a large number that companies will sponsor them to promote their products. An example of this is is TripInAVan.com. They have a huge following on, well, everywhere and now they get sponsored by quite a number of companies. So far I think they’re sponsored by Mazda, Jurgens Caravans, ARB, Expedia and more. And they work really hard. They’re constantly putting out content on their own platforms and others, and it’s certainly not an easy way to make money. In my opinion, anyone who can garner a huge following deserves all the sponsorship they can get! So there’s plenty of ways to make money, you just have to really think about what your skill set is and how that can be translated to making money while you’re on your trip. Not always an easy task (I hear ya! ), but I’ve found that by lots of researching online and talking to different people, you can make it work. Are you making money on your road trip some other way? Let us know in the comments so that others could see if it would work for themselves as well.